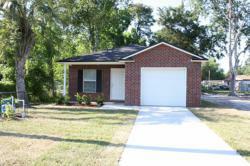 Houses for rent in Jacksonville, FL listings are now published online for renters by the JWBRentalHomes.com company. These listings are offered to showcase the available rental properties currently owned by this company available for occupancy in North Florida. This company currently owns more than 100 local properties that are now available for immediate occupancy in Duval, Clay, Nassau and St. Johns Counties. Rental homes provide both short and long-term housing as one alternative to financing the purchase of a property. One Florida company is now listing its houses for rent in Jacksonville, FL online for renters to review. The JWB Rental Homes company built its new website at http://www.jwbrentalhomes.com and is now adding its available rental homes on a daily basis. Financing for new home purchases is often advertised at record low rates to attract new buyers. Men and women who apply for financing can sometimes be denied based on credit history or other factors that could influence a decision by a lender. The rise in interest for rental properties is providing new opportunities to find housing without requiring the finance process. The JWBRentalHomes.com company website now features all properties currently renting in the local area with complete details about monthly rent prices and property management services. "A simple background check is completed instead of a credit review for renting," a source from the JWB Rental Homes company said. Some companies renting available properties place preference on credit ratings to determine if renters are a good fit for the terms of the lease. A person who has an average or below average credit score is now encouraged to apply for the properties available. "Our new website features a fast track showings request form," the source added. This showings scheduler allows any person to schedule and in-person walk through of the rental homes available prior to application completion. These services are offered to familiarize a person with the interior and exterior of each home prior to completing the rental application. To celebrate the launch of the new website and listings online, this company has removed its standard application fee for applicants. Any person who submits a showing request through the new online portal receives a waiver of application fees. This offer is one extra way that the JWBRentalHomes.com website is providing easier ways to rent available properties. Detailed property information and immediate contact with company housing specialists is provided on the company website. The JWBRentalHomes.com company owns more than 100 properties in the North Florida area. A group of housing specialists works with individuals and families to ensure housing is available regardless of credit histories. This company was re-branded in 2013 as part of the JWB group of companies headquartered in Jacksonville, Florida. The redesigned JWBRentalHomes.com company website now includes all listings currently offered to the public. Full-color photographs, monthly rental price and other relevant information is offered to all renters using this company as a resource to find homes for rent.